TCCC Guidelines are widely, though not universally, accepted as Authoritative “best practices” for pre-hospital trauma care; however, they are not Directive policy. The high degree of variance amongst deployed unit medical personnel, both in terms of clinical training and operational experience, results in inconsistent application and enforcement of TCCC compliance across the force. Since our line commanders are dependent upon their unit medical personnel to inform their understanding, appreciation, and prioritization of medical support requirements, their TCCC commitment and command emphasis understandably varies as well. In the face of near-term resource constraints, without doctrinal and policy endorsement, the Services will continue to struggle to adequately and fully Organize, Train, and Equip to meet TCCC Guidelines as the standard for pre-hospital care. A previous memorandum and recommendation by the Assistant Secretary of Defense for Health Affairs to train all combatants and deployed medical personnel in TCCC remains incompletely implemented across the DoD. In contrast, US Special Operations Command (USSOCOM) and US Army Special Operations Command (USASOC) have codified TCCC compliance as policy and reduced pre-hospital case fatality rates. We must continue to embrace and explore emerging capabilities to deliver far-forward resuscitative care. Those capabilities that are both responsive and adaptive to the dynamic tactical landscape hold the greatest intrinsic value for our line commanders and their personnel. We must also ensure that our supporting Organize, Train, and Equip functions have the agility to keep pace with these evolving standards of care. We must increase the investment in our medical personnel to develop and retain true expertise in pre-hospital trauma care delivery and oversight. These must become core competencies in the unique domain of operational medical support and we must embrace new medical training paradigms that advance these skills. Finally, officer professional development for both line and medical leaders must emphasize the shared responsibilities for developing and enforcing robust unit commitment to lifesaving pre-hospital trauma care principles. 1.The lack of standardized TCCC capability may represent a causal factor for the increased killed in action, case fatality rate, and preventable deaths seen in conventional forces when compared to special operations forces. 2. Absent a validated joint requirement which is captured doctrinally, the prevailing resourceconstrained environment will challenge Services to fully Organize, Train, and Equip to TCCC standards. Saving Lives on the Battlefield (Part II) - One Year Later Unclassified 4 Unclassified 3. There is no evidence that the DoD or CJOA-A has policies or procedures in place to validate or enforce pre-hospital care within an organization. Service-specific doctrine requiring Unit Surgeons to each establish a standard of care, allows for variant, non-standard delivery of battlefield trauma care across the force. Furthermore, even within a single command, rotation of Unit Surgeons introduces and magnifies discontinuity of unit trauma care standards. 4. The requirements to perform and support pre-hospital TCCC could be standardized across Services (universally or at the Combatant Command level) with the specific means to achieve these Train & Equip standards left up to the respective Services. 5. As with elements of pre-hospital care, organization structures are highly variant with a number of at-risk forces not having adequately manned/trained/equipped medical support. 6. Units with a tactical evacuation mission requirement should be task organized to be able to provide advanced enroute resuscitative care from the point of injury. 7. Robust training platforms exist for pre-hospital trauma care, though not all course training syllabi keep pace with current best practices. Sufficient information technologies exist to rapidly and widely disperse new TCCC Guidelines as they become immediately available. 8. Unit equipment sets and supporting medical logistics systems have not kept pace with evolving pre-hospital care TCCC guidelines. Out-dated items remain within the supply chain and newly required items have not yet been incorporated into standard configurations. 9. In the absence of a widely mandated policy that establishes TCCC Guidelines as the standard for pre-hospital battlefield care, and accountability for deviations from this standard, the degree of penetrance and acceptance of TCCC Guidelines will remain episodic and dependent upon individual (Surgeon and commander) commitment. 10. Neither line nor operational medical leaders are optimally prepared to recognize the importance of a robust, pre-hospital care system, or equipped with the requisite knowledge, skills, or experience to build or sustain such a system within their unit. 1. DoD establishes TCCC Guidelines as the DoD standard of care for pre-hospital care. 2. DoD conducts a DOTMLPF-P assessment across Services to assess and implement TCCC Guideline capability. 3. 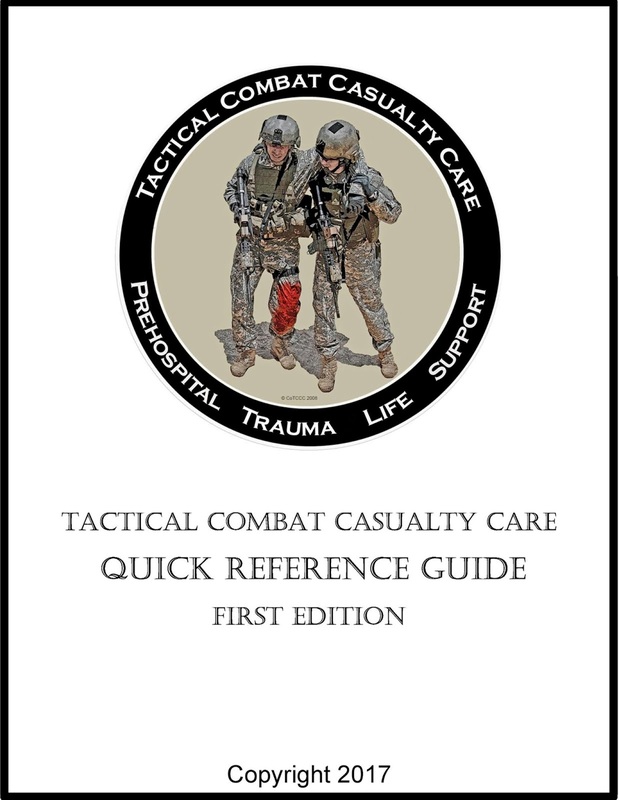 DoD systematically review and correct all pre-hospital care doctrine across the spectrum to accurately represent TCCC Guidelines with the doctrine specifically stating “in accordance with Saving Lives on the Battlefield (Part II) - One Year Later Unclassified 5 Unclassified the current TCCC Guidelines published by the Committee on Tactical Combat Casualty Care” to ensure that the doctrine remains current. 4. Services immediately implement an aggressive transition initiative to update all relevant medical equipment sets and medical logistic policies to ensure units have TCCC Guideline specified medical materials. 5. 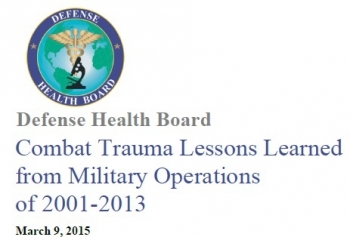 DoD establishes a Battlefield Pre-Hospital Trauma Care Program Proponent (or equivalent structure) in the DHA. 6. DoD develop and mandate a TCCC Accreditation, Certification, and Recertification program like Basic Life Support, Advanced Trauma Life Support, and Advanced Cardiac Life Support for all military personnel with a requirement for biannual re-certification and as based on level of ability and position (e.g. Non-Medical First Responder, Non-Medical Leader, Medical Provider, Medical Leader). 7. Services require and track TCCC certification for all pre-hospital medical personnel and integrate tracking into combatant Unit Status Reports. 8. Services incorporate TCCC Champion training into all basic and advanced officer and noncommissioned officer professional military development courses. 9. Services incorporate and mandate casualty management and hands on practical exercises into all professional military development courses. 10. DoD updates the Joint Capability Requirement for Tactical Enroute Care to include the ability to provide advanced resuscitative care from the point of injury. 11. As military physicians are ultimately responsible for assuming the role of EMS Director for pre-hospital services if assigned to a combatant unit, the military Services should study and develop career, educational and assignment tracks for operational medical corps officers which includes emphasis upon pre-hospital care delivery. History teaches that the lessons we have learned regarding combat casualty care may be lost if we fail to attend to them in the coming years. Even in a resource-constrained future, the MHS has the necessary raw materials of personnel, organization, and experience to retain and refine our current best practices. With continued efforts aimed at 1) formalizing TCCC Guideline compliance across the force; 2) embracing evidence-based methods to continually improve upon these Guidelines; and 3) selecting, developing and retaining operational medical personnel dedicated to pre-hospital trauma care, the MHS will ensure an organizational culture that fully embraces pre-hospital combat casualty care as a core competency.